Tired of the same old titles popping up at the bookstore? 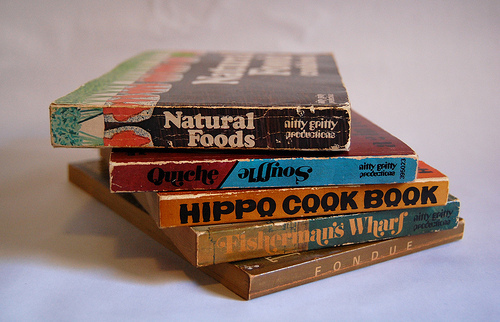 Here are the cookbooks you really wish you could track down. Keep up with Foodie Underground, sign up for our weekly newsletter. “How to Pretend You Eat Well When You’re in a Room of Really Wholesome People” = my manifesto. HAHAHA! I am so writing this book…. Fancy Sounding Food totally exists, it’s called Google Translate. The chapter on French is classically impressive, but some of the Eastern European chapters are both exciting exotic and use extremely accessible ingredients. How to Infuse Everything With Kale and Other Leafy Greens – my life. I could have the manuscript written by morning.